I must admit, I am the kind of girl who prefers fancy accessories rather than those elegant and sophisticated looking jewelries. It's just that I find those expensive jewelries very fragile and I wouldn't want to wear something that will make me cautious all throughout the day. But just like food, there are days when I just want to try something new, yet affordable and readily available in the market. 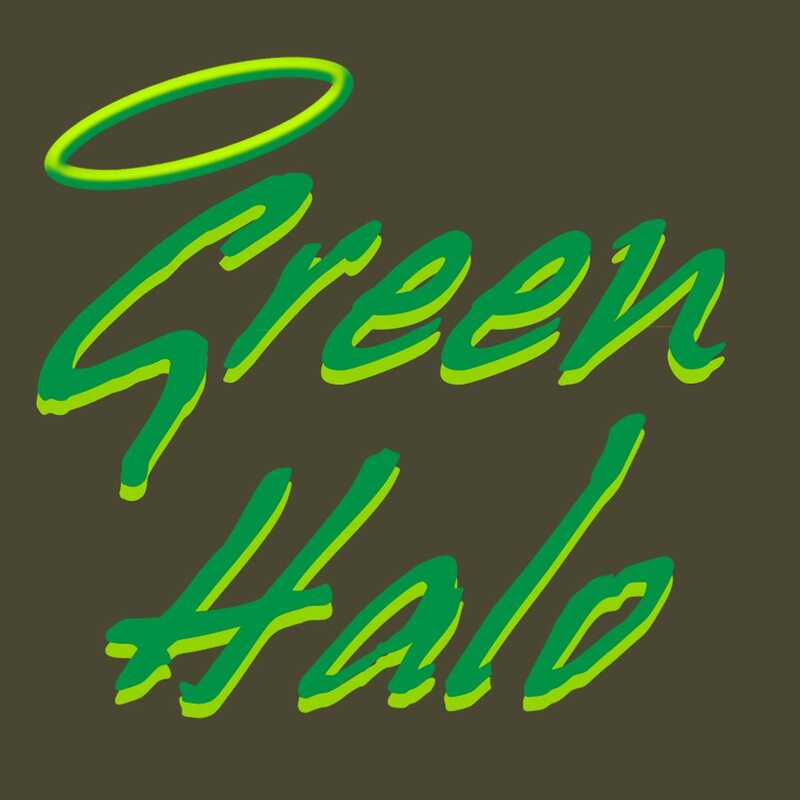 And then I was introduced to Green Halo- a brand that provides natural and real stones with the magical and powerful energy of Earth's greatest gift: CRYSTALS. Green Halo is owned by Ms. Monica Ocampo who personally makes the fashionable crystal bracelets for her clients. She is one believer of the powerful energy that crystals bring into people's lives. Crystals are believed to posses spiritual and healing properties that improve oneself and his/her state of being. Different crystals have different purposes and healing characteristics. Each has its own power that gives balance and positive energy attractions to the environment. Some crystal powers promotes health and wellness, attracts luck and love, creates abundance and prosperity , increase mental capabilities and even as simple as relaxing the mind, body and soul. For me, since everything I can get from crystals are positive vibes and energy, I don't see anything wrong in believing in its powers. Each crystal bracelet from Green Halo comes with a short description of the stone and a small pouch. Last month, I was fortunately gifted with two crystal bracelets from Green Halo. First was an Aquamarine (P1200) bracelet which happens to be my birthstone. It came in a light and serene blue color that's cool and calming to the eyes. It was described as a stone of courage that brings confidence to the wearer. It encourages positive changes, improves intellect and unblocks confusion. 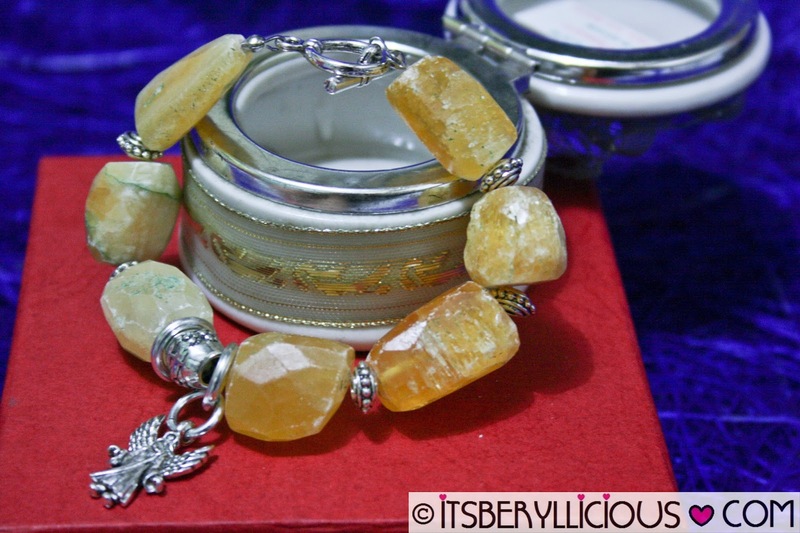 The second bracelet I got was a Yellow Calcite (P950) with an angel charm. 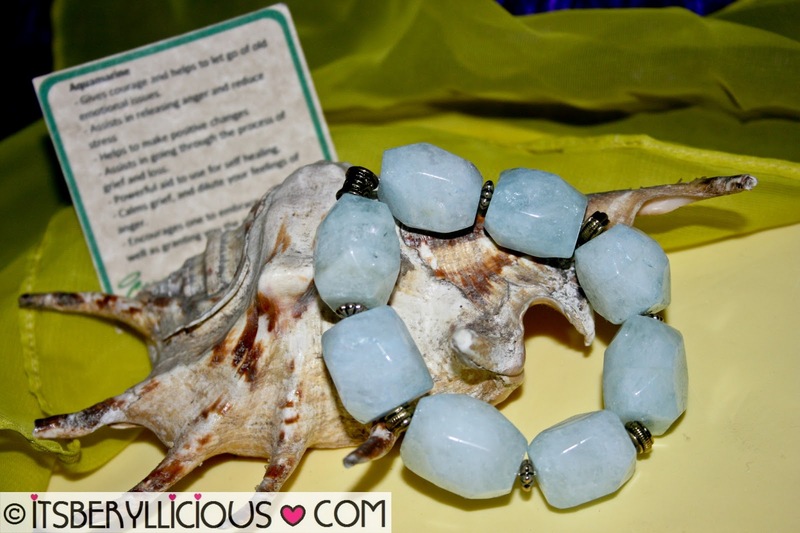 Compared to the Aquamarine, the stones on this bracelet were less polished and more natural looking. It had some rough and unrefined edges but I love the lock used on this one as compared to the garter string of the previous one. 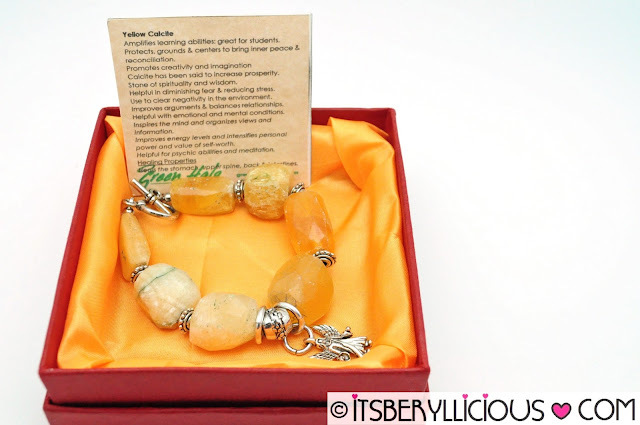 As for the Yellow Calcite, it promotes creativity and imagination to the wearer and brings prosperity and good fortune to life. It boosts the overall energy level of a person and helps to increase strength and health. 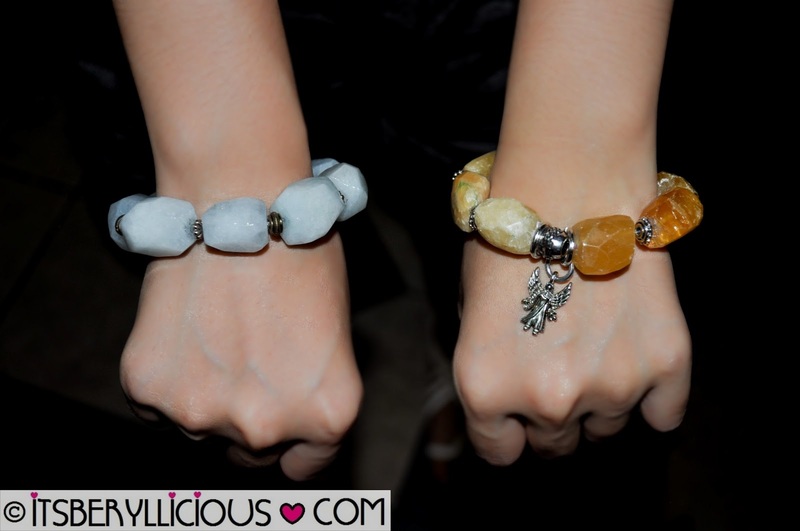 Comparing it to other crystal bracelet retailers in the market, Green Halo's prices are very affordable. One might think that maybe these products are not real, but they actually are. Since it is a home-based business, the owner is able to save on overhead costs and other expenses. Her stones and crystals are all from the States but other materials like strings and spacers are all sourced locally to lessen the cost of each product. 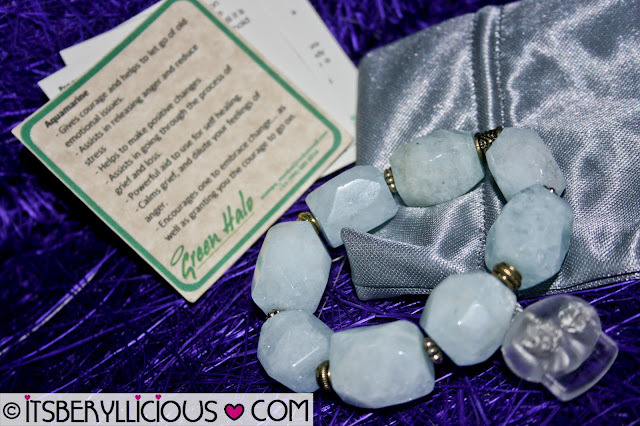 Green Halo Crystal Bracelets could be given as gifts for friends and loved ones too. It's a one of a kind jewelry that will surely be appreciated by the receiver of this precious jewelry. These crystal bracelets could be worn everyday. It could accentuate any casual and simple outfit or even make a chic and stylish ensemble more classy and elegant. Green Halo ships nationwide via Xend and internationally via LBC.